One of the objectives could be to minimize the specific energy consumption required to manufacture the output product so that the manufacturing costs per unit of product are minimized. Traditionally, the flow rate of a liquid within an industrial process has been controlled by inserting a throttling control valve in the output of a centrifugal pump that is driven by a fixed speed motor. The throttling action causes a pressure drop and energy is dissipated, in this case as heat in the liquid, resulting in an increase in temperature. By removing the control valve and controlling the speed of the pump to maintain the desired flow, unnecessary energy wastage is eliminated. 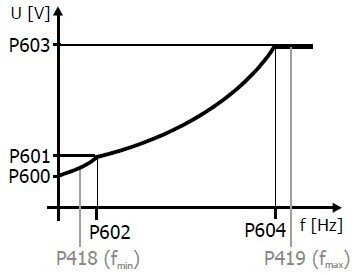 The energy wasted is proportional to the product of the flow rate through and the pressure drop across the restriction - in this case the control valve. The more the throttling action by the valve, the higher the energy dissipation. In continuous manufacturing processes, the cost of the energy consumed by a particular pump motor is normally far in excess of the capital cost of the required variable frequency drive, so the payback period on variable frequency drives is short. Increased energy efficiency can also be realized by using regenerative variable frequency drives on pump that the braking energy back into the supply network rather than dissipating this energy in braking resistors or in mechanical brake systems.